One thing I’ve learned is that every dwelling has an upper bound to the amount of stuff it can comfortably contain, a maximum carrying capacity if you will. Exceed that capacity and you will know it. It becomes hard to look around the room and see open space. You start tripping over crap on the floor. Your space seems to own you. When I was getting my undergraduate degree, I lived in a gorgeous 1920’s studio apartment with all its original mahogany trim. That 425sqft studio apartment had a sharp, well defined upper bound to its carrying capacity, a capacity whose limit I always rode. To this day I can close my eyes and take a mental inventory of everything I owned back then. 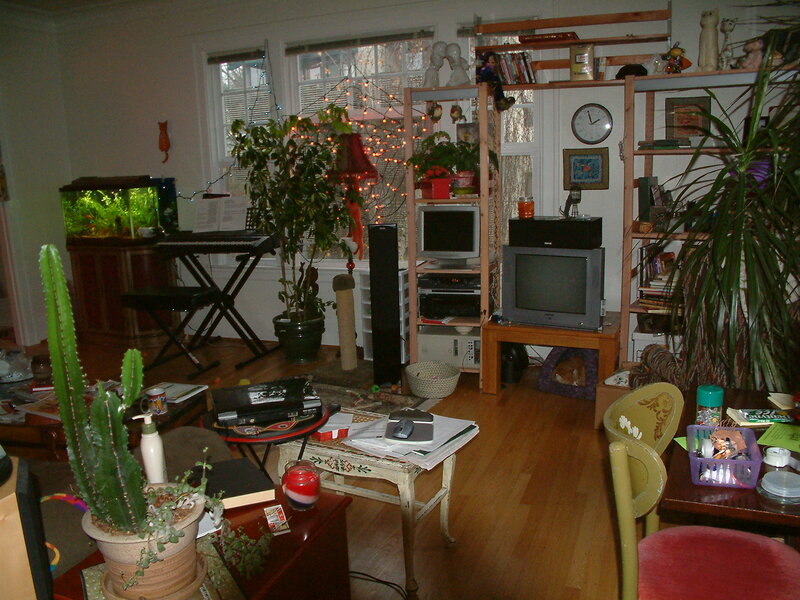 In it was a double bed, couch, bookshelf, dining table, coffee table, large plant, CRT TV with cactus on top, a large desk for work, a microwave on top of the refrigerator, and a cat. Hanging on the wall was two speakers, two very nice paintings, as well as a couple cool trinkets delicately placed into a nook that used to contain an old phone. You would think that all that stuff would make the space feel cramped, but you’d be wrong–my little studio apartment felt quite cozy and inviting. 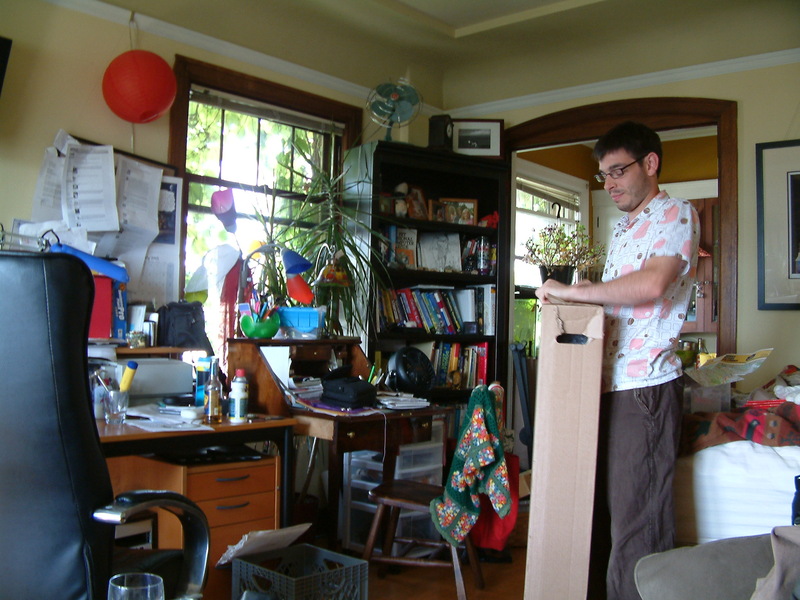 The early days of my studio apartment. Every single item I owned had to earn its keep–if an item stopped becoming something I used I had no choice but to dispose of it. I had no extra room to put anything–one extra item above what I had in that apartment would make the place almost unbearable to live in. Just one extra box would take what was a cozy, inviting space and turn it into a cramped, unwelcome space. Was it something I needed? Was it the smallest possible thing that would fulfill that need? Did I had room for it? Was there something I could give up to make space for it? It was amazing to me how hard it was to find things that passed that criteria. Especially the second item. It seemed like everybody always thought “more of everything” was better. Make it bigger (eg: a huge microwave). Include a bunch of crappy “bonus” items (eg: why get a crockpot when you could get a crockpot PLUS a fondu pot!?). I often found myself paying more, sometimes a lot more, just to get something that had a small spatial footprint. It seemed as though in this country, marketing folks assumed that everybody had multi-thousand square foot space that just needed to be filled with more stuff. Eventually, circumstances led to Shannon, my then girlfriend, now wife moving into my tiny studio apartment. With her came my fish tank, her fancy desk, and a pile of new books. With all of that new stuff, the carrying capacity of my studio apartment was well above its peak and what was once a comfortable place to live became virtually unbearable. There was no room to feel comfortable. No open space. Every foot of linear wall space had something occupying it. My eye had nowhere to go but on all my stuff. This is my studio apartment just before we moved into a bigger place. Thankfully, Shannon and I found a new place up the road a bit that was a nice 1brm 800sqft apartment. 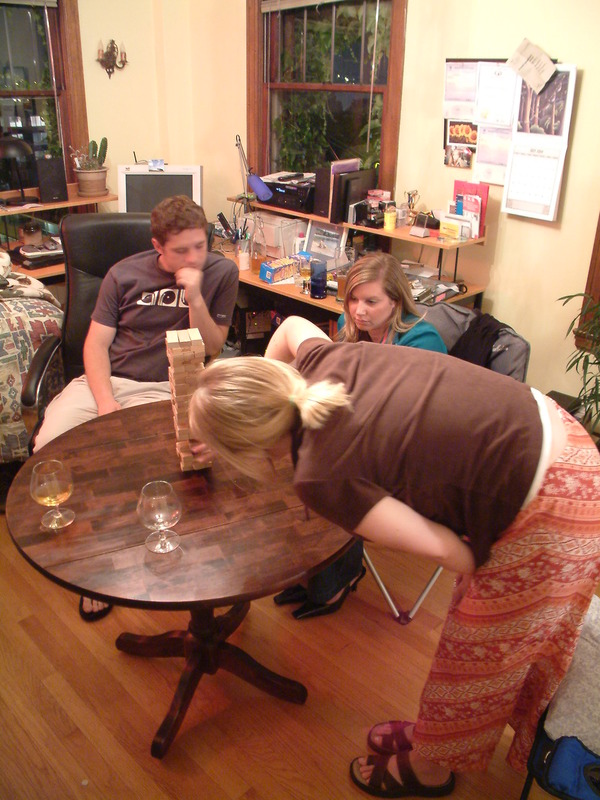 When we moved in, we had almost nothing in the apartment. No rug. No three bookshelves. The floors were bare. We joked about how we couldn’t imagine ever filling the place. Of course, how wrong we were. Over time, we acquired another bookshelf, a rug, a two endtables, quite a few more plants, and a bunch of other stuff. After a while, we reached some kind of equilibrium where for every thing we brought into the house, we threw something out. Just like with my studio apartment, our current place has a similar equilibrium where if we bring in anything new the place feels cramped and uninviting. 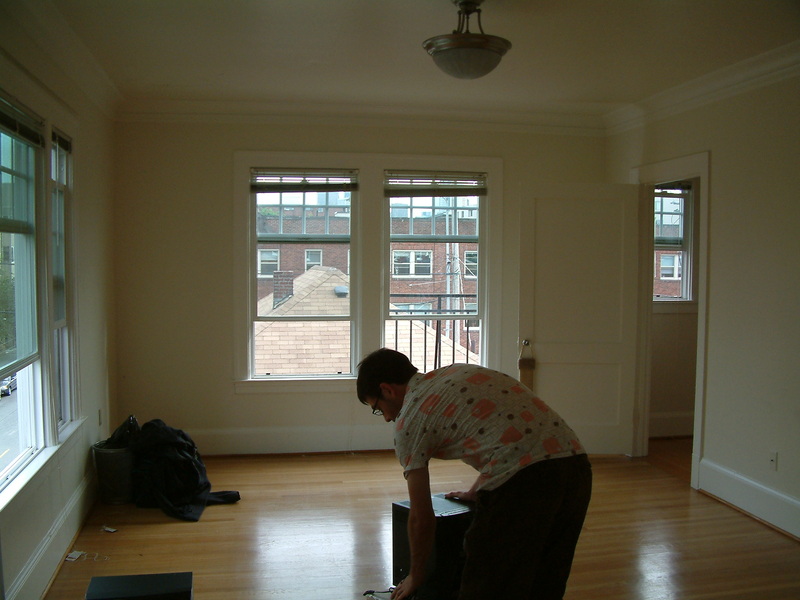 This is our one bedroom apartment, the day we moved in. This is our apartment a few months after moving in. The thing I wonder is what happens if we double or triple our square footage. Sure kids and their associated accoutrements will fill some of that floorspace but the rest will be open season for stuff acquisition. And that makes we wonder. What new things exist out there that we don’t already have that fits the criteria I used when I lived in my studio apartment? When I lived in the studio apartment, I thought I had everything I needed. Now that I live in a larger space, I think I have everything I need. So what happens once I inevitably move into a bigger space? What stuff will I fill that with? How much of it will meet the criteria I laid out back in the days when I lived in my studio apartment? It really makes me think.